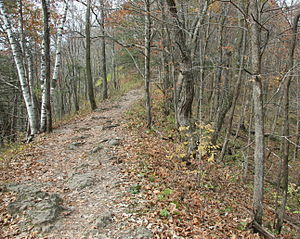 This blog is meant to be a joint effort between my husband and I to chronicle our adventures on the trail. While my running history consisted of nearly 20 years of road running, Harley spent more time on the trail, running in Colorado and Atlanta. He tried to get me on the trails at Sope Creek, but I felt like they slowed me down and honestly – I thought they were too challenging UNTIL I read Born to Run. I know it sounds cliché by now, but the book really rejuvenated my love for running and it got me on the trails. I was no longer intimidated by them – I just recognized I would probably not cover as much ground in the same amount of time as road running – but I would enjoy the experience more. And that’s exactly what happened in May 2012. This coinciding with me going back to school full-time – leaving more time for me to hit nearby trails. So now I’m not only running longer than I ever have in my life – but even better, I’m enjoying it more than ever! 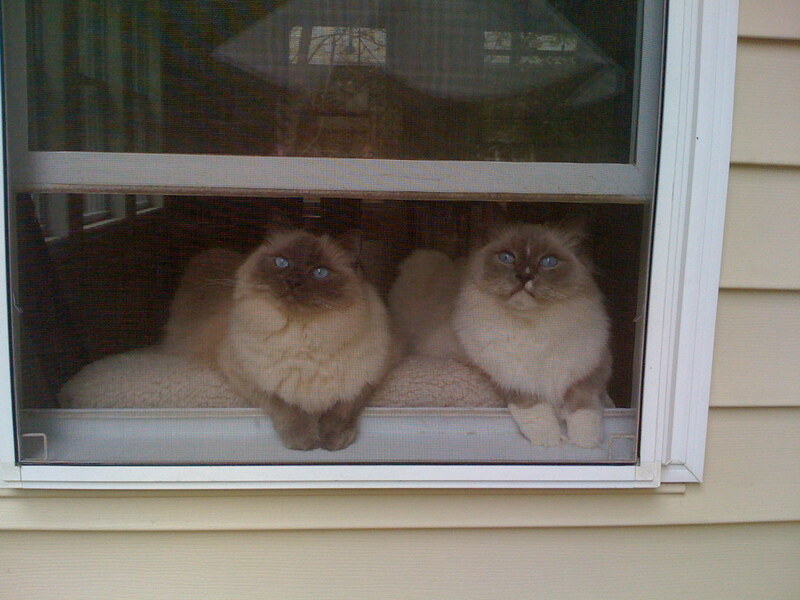 We decided on Trailcats for two obvious reasons: Iris and Roger – our 8 and 9 year old Ragdolls – the fanciest cats not on trails! I used to maintain a previous blog – A Tale of Two Kitties – so we felt like we still needed to pay homage to these perfect little kittens. Update as of Feb 2018 – our sweet little Trailcats are no longer with us. Instead they are chasing butterflies in the afterlife! Happy running and we hope you enjoy our blog! Hey Brink– Nice to hear from you. We remember you talking about persistence hunting hanging out in Clancy a couple summers ago, then Holly read a few books and started making us run long trail runs over the past year. We had been targeting the Elkhorn 50k in August on a visit to Clancy, but looks like we’ll miss it. Plus, we’re ramping down for a month or so while the heat is on in Atlanta…our next up at this point are a couple of runs in October. The Rut looks great…enjoy! I miss cool mountain air.